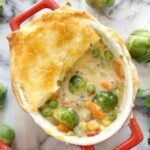 Vegetable Pot Pie, a comforting meatless dish that is quick, and super easy to make. 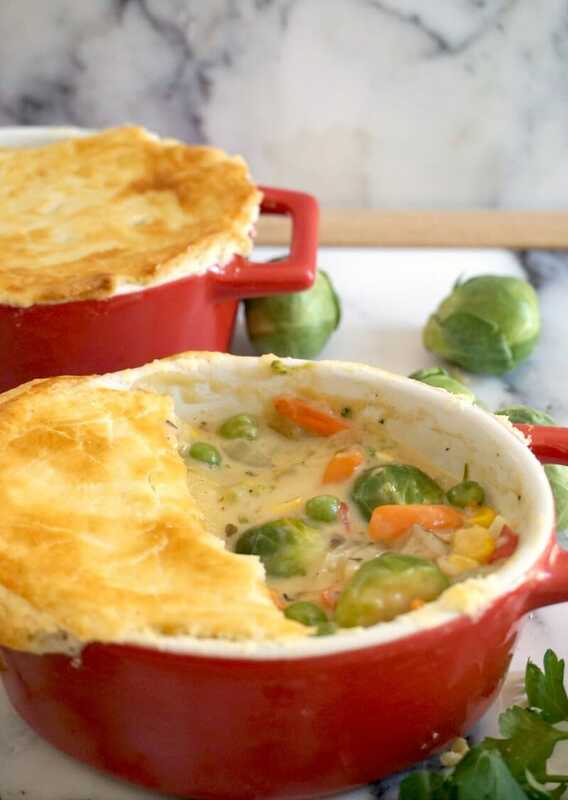 Made with fresh and frozen vegetable and shortcrust pastry, this pot pie is a family-favourite recipe. If beauty is in the eye of the beholder, then comfort food can mean something completely different depending on our taste buds, food preferences and mood. I think of comfort food when the weather is cold and miserable, pretty much like now, when the short and cold winter days have hit us hard. Forget about skinny salads and milkshakes, it’s time we pampered ourselves with some hot food to keep us going. I would usually label as comfort food something heavy, meaty, and rich. But sometimes it’s good to take a break from anything meat, and enjoy a nice vegetarian dish that tastes and smells like heaven. 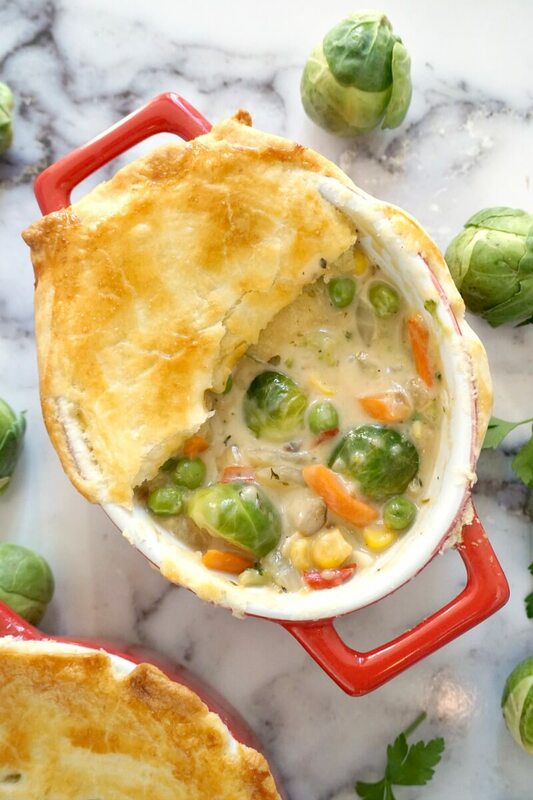 And what’s better than a nice vegetable pot pie to warm us up, and comfort us like nothing else?! This vegetable pot pie is not only quick and dead easy, but also cheap. You can use any vegetables you have, either fresh or frozen. It’s a great way to use up any veggies that have seen better days, and have been forgotten at the back of your fridge for way too long. And, if you are anything like me, that happens more often than it should. I know, I am really bad. Hence why I should buy more frozen vegetables, in this way, the waste is minimal, as I use only what I need. Right, so how can we get that gorgeously golden pastry top, without he so dreaded soggy bottom? Simple, ALWAYS LEAVE THE FILLING TO COOL COMPLETELY before adding the pastry lid. And a good teaspooon of semolina sprinkles over the filling can work wonders, as it absorbs the moisture. You can serve your veggie pot pie with some creamy mashed potatoes on the side, and that, my friends, will be a dish fit for a king. Not a fan of meatless dishes? How about my Homemade Chicken Pot Pie? 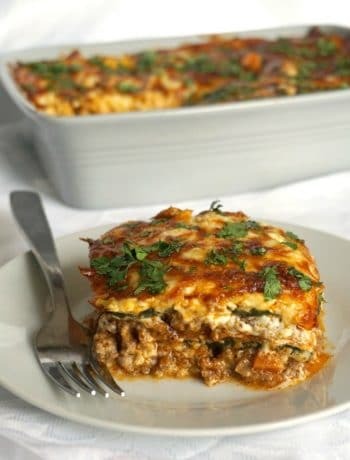 It’s quick, it’s yummy, and so comforting too. 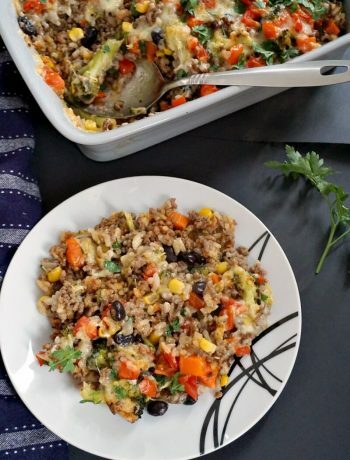 If you’ve tried my EASY VEGETABLE POT PIE or any other recipe on the blog then don’t forget to rate the recipe and let me know how you got on in the comments below, I love hearing from you! You can also FOLLOW ME on FACEBOOK, and PINTEREST to see more delicious food and what I’m getting up to. Vegetarian Pot Pie, a comforting meatless dish that is quick and super easy to make. 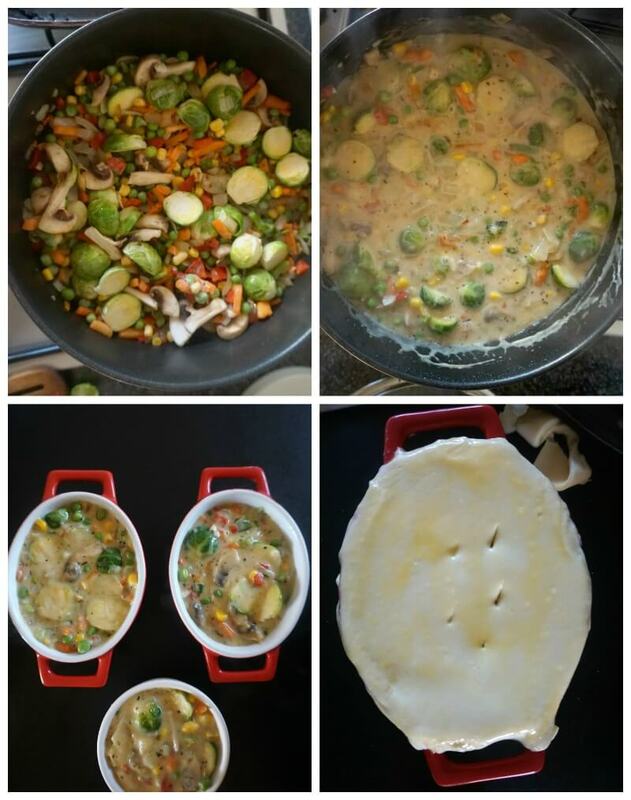 Made with fresh and frozen vegetable and shortcrust pastry, this pot pie is a family-favourite recipe. In a pan, heat up the oil, add the chopped onion, and fry gently until tender. Add the frozen and fresh vegetables, and cook for 5 minutes, until the veggies start to soften. Add the flour and vegetable stock, season with salt and pepper, and mix in the fresh parsley. Leave to cook for a further 5 minutes, until the liquid begins to thicken. Remove from the heat and leave to cool completely. Pre-heat the oven to 200 degrees Celsius (390 Fahnrenheit). Distribute the veggie mixture between the oven-safe pots (or any baking dish you use), and sprinkle semolina over. 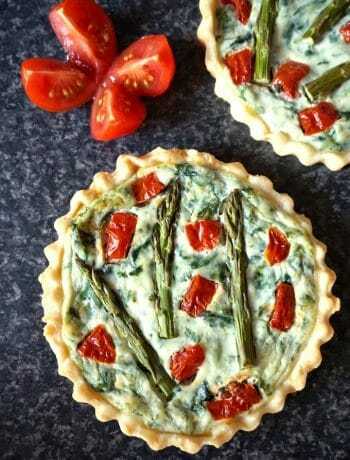 Beat the egg, then brush the edges of the dishes with it, then cut the shortcrust pastry to form lids of each of the dishes you use. Press gently with your fingers, so that the pastry fits well around the pots. Use a sharp knife to cut steam vents on top of the lids, then brush with more egg wash, and bake for about 20 minutes or until golden. Thank you Sandy! I hope you like it!